Mission: Impossible Ghost: Protocol was a somewhat of a reboot for the film franchise. At first it was once thought that the film would see Tom Cruise pass the torch to his fellow co-star Jeremy Renner, who would launch a new Mission: Impossible franchise. But since the film proved that Cruise is still a viable star, he is signed on to star in Mission: Impossible 5 after all. With him, Renner, and Simon Pegg all set to reprise their respective roles in the Christopher McQuarrie-directed sequel, we can expect to see some fresh faces to star in some new and possibly villainous roles. 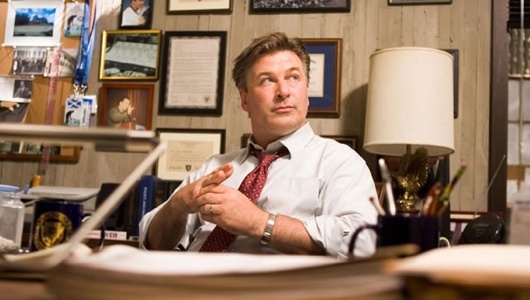 Of those faces, Alex Baldwin and Rebecca Ferguson are reportedly in talks to appear in the film. Hit the jump to see who they will play.